State Street Corporation is a financial services and bank holding company. It is headquartered at One Lincoln Street in Boston and operating in 17 countries and more than 100 geographic markets. This financial holding organization’s Investment Servicing business line offers a wide spectrum of products and services, which include custody, product- and participant-level accounting; daily pricing and administration; master trust and master custody; record-keeping; foreign exchange, brokerage, and other trading services; securities finance; deposit and short-term investment facilities; loan and lease financing; investment manager and alternative investment manager operations outsourcing; and performance, risk, and compliance analytics. With 225 years of operation, State Street Corp is the 2nd oldest bank in continuous operations in United States and it is operating from year 1792. This company is one of the largest asset management companies in the world, with a value worth of $33.12 trillion under custody and administration and $2.78 trillion under management. It is ranked 271st on the Fortune 500 list. The company is also on the list of the banks that are too big to fail published by the Financial Stability Board. 1. Strong market position with very good brand image: State Street Corp operates in over 100 geographic markets globally, including the U.S., Canada, Europe, the Middle East and Asia. It has been operating for 225 years in the United States and has, thus, portrayed a strong leadership in the market through its shares and financial position. Founded in the late 18th century, as the Union Bank and located on State Street in Boston, the company began to carve out a niche for itself, as a key cog in the rapidly expanding shipping and maritime industries, justifying its clipper ship logo. Two and a quarter centuries down the line, State Street (STT) is the largest custodian banks in the U.S., with over $32 trillion in assets under custody. Additionally, STT holds over $2.7 trillion in assets under management, including the highly popular SPDRs platform of exchange traded funds (ETFs). This financial holding company is responsible for managing over 10% of the globe’s assets. The company is growing effectively through the services at a rate of 11.48%. Moreover, that total revenue increased 9% to $11.2 billion for the year. The company is holding such a strong position due to consumer recognition of the brand and the development of its brand image. 2. Very strong capital position and steady growth: State Street has maintained a strong capital position and a high-quality balance sheet, which allowed them to deliver strong capital returns to shareholders in 2017. This supported the performance of their common stock, which generated a total shareholder return of 28% for the year. The Cash Flows increased from $1314 in 2016 to $2107 in 2017. On a GAAP basis, their 2017 diluted earnings per common share were $5.24, up 5% compared with $4.97 in 2016. Total revenue increased 9% to $11.2 billion for the year, while fee revenue rose 10% to $8.9 billion, while net interest income rose 11% to $2.3 billion. Their 2017 GAAP-basis return on average common shareholders’ equity was 10.6%, compared with 10.5% in 2016. State Street’s investment securities portfolio represented approximately 41% of their total assets as of December 31, 2017. The gross interest income linked to the investment portfolio comprised 15% of their total gross revenue for FY 17 and has mapped to 30% of their total gross revenue in the fiscal years since 2007. The company continues to generate solid gains in custody and management revenues, driven by the boom in the financial markets. Across the past ten years and five year periods, State Street has generated annual net revenue growth of 4.9% and 1.2%, respectively. Although revenues did slide in 2016 by 1.5%, by the end of the fiscal, revenues were $10.2 billion, with 80% derived from servicing, management and other fees. A large chunk of fee revenue comes from servicing fees, earned from the custody business. Servicing fees, which are produced from the custody business, have seen steady growth of 3% over the past five years. Assets under custody increased at a 6% CAGR over the past five years, and are up another 12% in 2017. 4. Unique and innovative products: The Company created the first exchange-traded fund (ETF), the SPDR S&P 500 Trust ETF, in 1993 and is now one of the largest ETF providers worldwide. State Street Global Services handles assets from many classes, including exchange-traded funds, equities, fixed income assets, derivatives, real estate, and private equity. State Street has two lines of business: Investment Servicing and Investment Management. The company provides outsourcing operations activities which are worth US$10.2 trillion of middle-office assets and it administers 40% of the assets in the US mutual fund market. 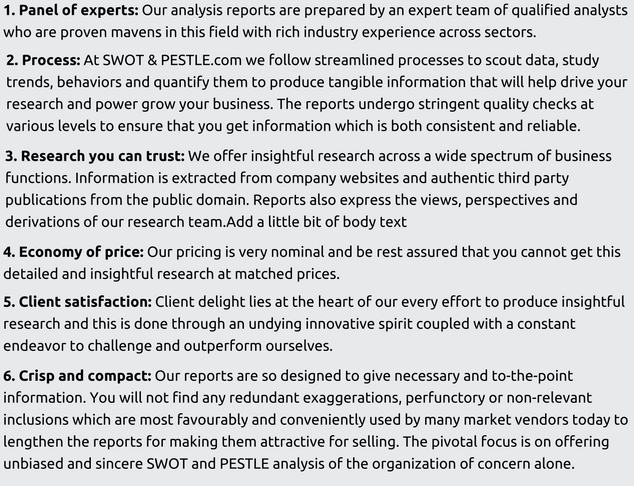 In order to help clients gain deeper cognizance of non-financial risks in their portfolio, Global Exchange launched ESGXSM, an analytics tool designed to identify and highlight probable sources of environmental, social and governance (ESG) risk that may be missed by conventional financial analysis. State Street has aggressively positioned itself as the digital leader in financial services to help clients successfully sail through challenges in this rapidly transforming industry. Other initiatives taken up by the company are Beacon Project, collaboration of Data Analytics and Digital Innovation, etc. 1. The 2016 US presidential election: Political factors acquire a very important role in the context of the banking and financial services sector. Traditionally, all these financial institutions have held immense influence and power, and due to this they have to deal with a high level of government regulation and scrutiny. State Street being one amongst the leading repositories for public savings, encounters high amount of government regulations. Many a times these strict regulations are criticised for hindering growth. Obama administration passed the Dodd-Frank Wall Street Reform and Consumer Protection Act, in response to the financial crisis of 2008. In 2018, it is expected that Trump administration will reduce the regulatory pressures on the banking system and this will in turn help companies like, State Street to evolve. The 2010 Dodd–Frank Act spawned about 400 rulemakings in the financial sector—the most extensive financial regulatory bill since the 1930s. One model predicts that removing a 22-basis-point investment wedge associated with Dodd–Frank would increase income 1 percent and generate $340 billion in revenue. The drawbacks of this law were - clear losses and costly trade-offs. 2. European Market: Effects of Brexit: So far European markets seem to be shrugging these risks off, with consumer confidence measures showing renewed strength; Although Brexit created a disruptive scenario in which enterprises are having trouble to understand exactly how their business models might be effected by this transition. Some impact was immediate like the Pound lost about 16 percent of its value against the Dollar. Businesses are trying to analyse the short, medium, and longer-term effects of Brexit, which could result in a series of disruptions over many years and regulatory shifts are imminent. Now, despite political risk, European market indicators look good. More than half of asset managers aiming to hire elsewhere in the wake of Brexit. A research has found that 54% of asset managers around the world are looking to recruit staff in other locations in response to Brexit within the next five years. France witnessed significant market re-pricing, and investors should consider volatility protection, currency hedging and diversified bond exposure with a tilt towards quality. The main impact of Brexit will have on withholding taxes, cross-border mergers with EU and custom duties. 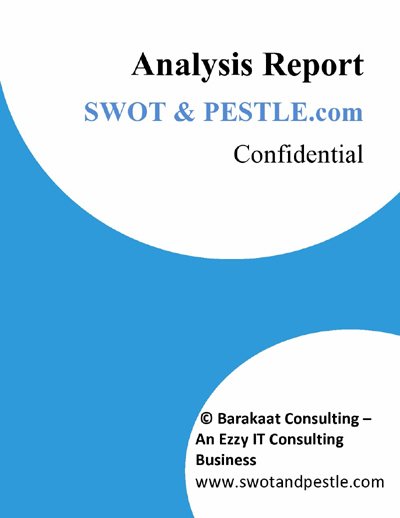 State Street Corporation SWOT and PESTLE analysis has been conducted and reviewed by senior analysts from Barakaat Consulting. 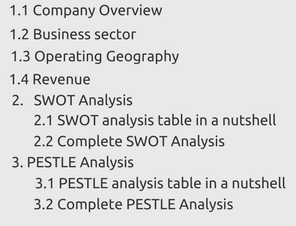 Copyright of State Street Corporation SWOT and PESTLE Analysis is the property of Barakaat Consulting. Please refer to the Terms and Conditions and Disclaimer for usage guidelines.